Tux® is a stuffable, guaranteed tough dog treat toy! A durable dog toy that's meant for seriously strong dogs! Made in the USA! Tux is a dog treat toy that is guaranteed durable. It's like a dog's chance to have his cake and eat it too! Tux is the perfect combination of a supremely stuffable / tossable dog treat toy and guaranteed-tough Zogoflex®. Just like West Paw's other Zogoflex dog toys, Tux is pliable, bounces, nontoxic, recyclable, and buoyant. 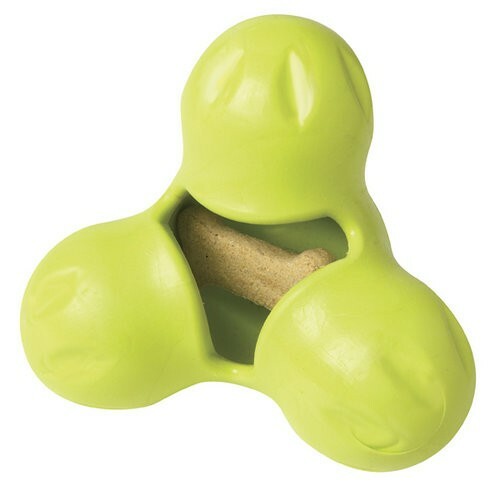 Simply stuff your dog's favorite treat into the cavity of Tux and let 'er rip. Tux is even dishwasher safe for easy cleaning! 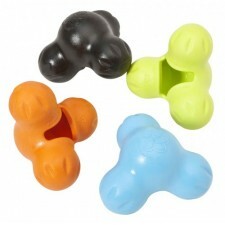 Tux® is a treat toy and was designed to withstand chewing, but still be fun - with or without a treat!